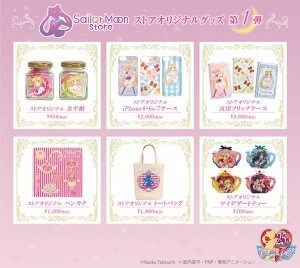 Japan is getting an official Sailor Moon store! 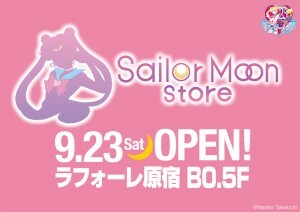 The store will be opening in the Laforet Harajuku mall in Tokyo and will sell a lot of exclusive goods, some of which have already been announced on the official Sailor Moon Store site. You can also follow the Sailor Moon Store Twitter account for more photos of their merchandise. The opening is tomorrow, Saturday September 23rd, which means that it will be open in Japan by the end of today because of how time zones work. Of the goods which have already been revealed we have bags, phone cases, key chains, tea and various other such knick knacks. These items seem to be reasonably priced. I find these kinds of products more appealing than the very expensive and limited selection we’ve gotten with the Sailor Moon Official Fan Club. 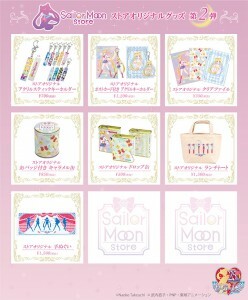 More products will be shown on the Sailor Moon Store site and Twitter account as they are released. I saw no statement that this was a limited time store so it may be intended as a somewhat permanent place, or at least remaining open from now until the store becomes unprofitable. If any of you are lucky enough to check out this store let us know what it’s like! Keep reading for individual photos of some of these products.